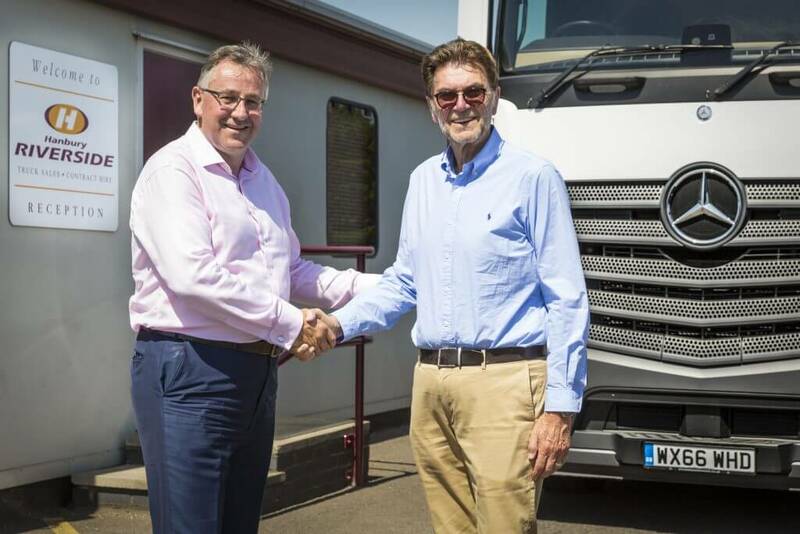 Asset Alliance Group has expanded its UK presence by acquiring highly regarded commercial vehicle specialists, Hanbury Riverside, based in West Thurrock. The deal, which includes vehicle assets worth £17 million, gives Asset Alliance Group its first depot in the South East of England, complementing existing bases in Wolverhampton, Hampshire and Scotland. Hanbury Riverside is one of the most successful independent truck dealerships in the UK and has built a formidable reputation, primarily for selling high spec tractor units, between one and three years old. It also has a thriving contract hire and leasing portfolio, based primarily in the South East. Asset Alliance Group CEO Willie Paterson says: “Hanbury Riverside is a hugely successful business built on very high standards and excellent customer service, so it is a perfect fit for the Group and gives us a really useful base close to London, the Thames Estuary ports and offering good access to East Anglia. Three out of the four existing Directors of Hanbury Riverside are retiring, including well-known industry figure Glyn Davies. Lee Smith, whose father Ron originally founded the business in 1982, will continue to run the site, working alongside existing members of the team. Davies says: “The ageing profile of the shareholders was the only driver in contemplating the sale of the business. Our main objective was the ongoing care and support of our customers, staff and suppliers, all of whom have been very loyal to us. Established by Paterson in 2010, the Asset Alliance Group has a history of major acquisitions. In 2011 it acquired new and used commercial vehicle business, ATE Truck and Trailer Sales, and in 2013 bought specialist chilled distribution business, Total Reefer. The following year the Group opened its first retail operation north of the border in Newmains, Scotland, and in 2016 acquired bus and coach specialist Forest Asset Finance, based in Ringwood, Hampshire. In 2017, the Group invested £3 million in developing a new traffic management division, which now operates more than 250 assets. In July of this year, the Group announced an increased investment to its Asset Based Lending facility, taking funds to £145 million. To date, it has delivered more than 4,000 commercial vehicles to the market.